Ugh, I know it's been mentioned in the past (both on the forums and in Discord), but I really feel like it needs a dedicated thread just for it. To me, that icon looks just way too much like a US Army Sergeant Major insignia. Looks like it was simply copied and flipped upside down. If we really need to copy a military rank, shouldn't we have copied actual Commander's? I don't think we should do that either, for the record. Does anyone know if there's been any talk or thoughts about updating it at all? As per DocT on Discord: "..
As per DocT on Discord: "...it's a very old design, to be specific a 1840 French cavalry chevron, for the rank of Brigadier, which is point of fact the name of one of the sub-types for Commander." My issue with it is that strong military overtones are being put on the archetype - a military insignia coupled with what now becomes a military rank ("Commander", and the subtype "Brigadier"). It's as though they want the AT to come prepackaged with its own origin, which obviously runs counter to the much touted "create anyone" premise. I personally find. I thing wrong with drawing inspiration from real world subjects for iconography. I highly doubt we will go backwards and redesign icons at this point though. It's an icon and name. It's not got anything to do with a character's origin. A demon summonning librarian would still be a commander-brigadier. That's even worse, that shows a bias for one subtype over the others and absolutely strongly implies a military theme. A demon summonning librarian would still be a commander-brigadier. ... With a military rank. Agreed. I'm sure a number of us would be happy to help with it as well. I'd certainly be willing to work on a number of designs if I thought they'd be looked at. Easier said than done. Icons aren’t a huge deal but to go back means stopping current work. Stopping current work means something else dependent upon that work gets held up. At this stage you do everything you can to not reinvent the wheel. No, with a class name that's a military rank. A class name informs nothing of the character except the way it operates. Like, I don't get why you're connecting out of universe descriptors into in universe descriptions. A Commander - Brigadier only has military rank if you want the character to have one. Same as in D&D a rogue with the thief subclass need not steal anything, ever. It's just the name given to a set of mechanics, nothing more. If it were just the word, fine. But here we're actively attaching real military insignia to the role. If we're going to wear a military rank next to our name, we'd better be that rank. A long list of reasons, although respect for people that have actually earned it is my first thought. So because of things not in game, and things not in character you want people who make these characters to have them in character be of a military rank? It's probably more insulting to have a load of people pretending to have a military rank than to have them not do that. Are you having a stroke? That's exactly what I said. It's insulting having a load of people wearing the rank that haven't earned it. Doesn't matter what characters people make. But they won't be wearing it. It'll be an icon either by their name or in their bio. It likely won't be on the character at all. Just part of the UI. Do you complain that like CoD uses military rank to denote level? I bet all those folks playing it are totes military. Commander for the archetype isn’t exactly new to gaming, nor is using other terms from militaries from multiple cultures from multiple time periods. Yeah, I was going to say that it doesn't even look all that much like a US Army Sergeant Major insignia. Like, maybe if I took off my glasses and held it far enough away I wouldn't be able to tell the difference. If you don't like it that's fine just don't make up excuses why your dislike is like, justified or whatever. Disliking a thing because you just don't care for it is fine, you know? Warlocc, are you going to say the same thing about the Ranger classification, or the Engineer AT? Or is it specifically the combination of the icon and "rank" for Commander that is the "problem" here? Personally I don't see how using a (only military?) rank in a game would make it so that those who don't have said rank in RL would be "insulting" those who do. Why do we even need to draw that kind of parallell? Didn't we thrash the hell out of these issues a year ago? Yes but life is cyclical and history repeats itself, so here we are! I'm ex-military and I don't mind what they are doing. It's not an insult to call someone a Commander if they command groups of people. The insignia, kinda looks like, but most certainly ISN'T a current military one. Dude, chill! It's just a symbol and title. That's it, that's all. This argument was made way back when they first announced the names and released the graphics. They (MWM) would not budge then and they will not budge now. It took an extraordinary effort just to get them to _SWAP_ the Operator/Commander icons (ref: What We Can Do Archetypes). It was argued then and will forever be argued that the specialization naming scheme is _too_ evocative of certain origins or character types or whatever. You just need to learn to look past it (essentially ignoring it forever) or make an extraordinary presentation of what should be changed and what it should be changed to (including graphics). I already said the name is fine and that I don't like the icon. I offered a reason why, and got baited into taking the thread off topic by our resident troll. Doesn't change that the icon could be better, especially knowing now that it was designed for one of the subclasses and not the overall AT. THIS is what we're objecting about? Also, as any serious Sentai fan will instinctively know, attacks made from Left --> Right are the ones that deal the most damage when viewed on screen. 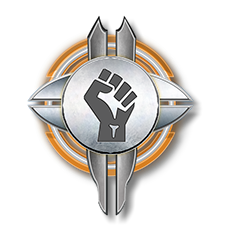 Having re-read first post and looked up the RL insignia I can't really see the issue since you are focusing on the center detail rather than the icon as a whole. However, in your OP you didn't include that you thought it as insulting to military people, that came out later. But it still doesn't explain why you think using something from RL (and perhaps specific to US only, haven't checked) as inspiration is insulting to those people in RL. Disagreeing with you is not the same as trolling. I believe most of us just don't see it the same way you do, and have a hard time understanding why you think the way you are in this regard. While military personell enjoys a higher base amount of respect in the US I feel (as a EU resident) that you are putting them up on a too high pedestal, in that just drawing inspiration from the military in terms of name and icon combos is somehow insulting to them. All of the AT icons could probably be better, but that is a very subjective matter. Also, I didn't get the impression that it was designed for one of the subclasses but rather that that class' name was a higher "contributor" in terms of inspiration to the overall design than the others. It's amazing how much difference even a minor tweak can make, yes. I don't think it's a good design, the primary reason being that it's a military rank, but doesn't match the name- which is also a military rank- so it comes across as confused and uninspired. We've since learned that it's French Calvary, so I was only wrong about the origin, not that it's a rank. The side argument of it being disrespectful to wear badges you haven't earned is just that, a side argument that just made for another reason I dislike it. You're right, it is subjective, and subjectively speaking, this is the worst one. I was hoping it could be updated, even if I had to volunteer to do the work myself. Here's some Sergeant and Petty Officer insignia. And here's the Navy Commander insignia. Does Titan City have a military (or paramilitary) group? If yes, what are the ranks? 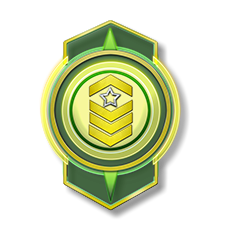 Does each rank has its own insignia? If no, why not? It would make sense to have one, or is it because nobody should get some pre-made lore, to create their own? Ah, yes. Change it from looking vaguely similar to an actual rank to having it look much closer to a rank from something else. "It's disrespectful to wear something that looks only vaguely like a rank you didn't earn so I think we should change it to look closer to an actual rank of another part of the military. Then the person literally is wearing a rank they didn't earn." It shouldn't stand out more than the others. That'd make it look out of place. In my eyes you are drawing parallells where none is needed to be drawn. We (as people) aren't "wearing" the rank/badge, we aren't claiming to be part of the military or what not, it's just a name and an icon for a games class. While I fully recognize that the name, and possibly the icon, can have a significant "value" in certain contexts I don't feel those contexts are relevant to this game. Yes, if someone dresses up in military garb and went around claiming they were a certain rank I would say it's disrespectful but we aren't doing that. It is just a name in a game that, as far as I can think of, is the most descriptive and origin neutral for that classification. But by the logic you have presented MWM should rename the Ranger classification since it would be disrespectful of actual rangers, and the Engineer AT since that would be disrespectful of actual engineers. As for the icon turned sideways, maybe it's just the way my brain works but I don't see the big difference in terms of significance related to military insignia. I can't say I disagree. I'd rather see the inner icon changed or tweaked to either be more generic or better match the name than changing the whole icon entirely, but you're not wrong. You're still getting hung up on the words. Nobody's talking about changing the name(s). 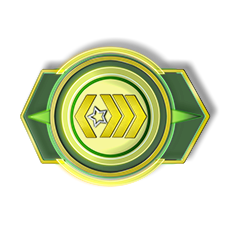 We're only talking about the icon being boring, confused, and uninspired- "Let's just grab a random military rank and stick it in here since the class is called Commander"- it could be so much better. Or at the least, if we're insisting on using military looking insignia, it should look like "Commander" patch. But they didn't grab a military rank. They made up an image inspired by military rank iconography. What you suggested earlier is to just grab a military rank to stick in there. Apparently it's boring and uninspired to make up your own thing based on an existing thing but is exiting and inspired to literally just use an existing thing. To me you are the one who is so hung up on the name since you keep insisting on them "matching" in accordance to our (or maybe US only?) military system. As PH says, it shows more inspiration to base it on existing stuff but going ones own way instead of effectively doing a straight copy. It isn’t an exact copy of an old French military rank. It is inspired by that rank for the basis of design. All the other icons are inspired by other shapes which correspond in some manner by the Archetyep name. I'm sorry warlocc, but we are just going to have to agree to disagree. The term Commander is NOT just military. It has always had others uses in the civilian world as well. Commander: 1 a person who commands, leads; chief officer of a unit in certain societies and fraternal orders. 2: a high-ranking member of an order of knighthood. Derail: As a former Combat Engineer, I'm looking forward to seeing what that subclass (Engineer) can do. Momentary side track: One very simple thing I learned early on is to take the time to step outside a familiar perspective and take another look at things. In grade school you arrive at class at a certain time and sit at your desk. Your point of view for the majority of the time is that of a student. Sometimes you go up to the front of the class to demonstrate something (on the chalk board or to present something). But how often did you stand on top of your desk and look around (sort of like an impartial 3rd party observer)? The act itself is not life changing, but something as simple as that can change how you frame the experience. There is more to this world than just what you as a student or teacher experience. I appreciate Redlynne's take on this icon because it does exactly what I described above, and I kinda like it better that way (rotated). Plus the analysis of vertical vs horizontal sets a tone that there could be a difference in philosophy (you as the hero vs you at the head of a fighting force of extraordinary magnitude that forges their spirits in the tradition of our ancestors). 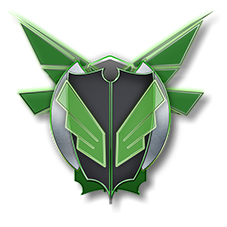 Plus the offset in the icon could suggest a tactical mindset, zigging when others zag, overload in one aspect to achieve victory, etc. It doesn't have to be exclusively about evoking some pseudo accurate creation of a military insignia. Also, after County Sheriffs, would be the Massachusetts State Police (who I learned of from Robert Parker's Spenser novels and movies and TV series) and the Federal Bureau of Investigation. And yes, they aren't military. Neither are the police or sheriffs; law enforcement in the U.S. is not military except when a case involves military personnel or military property. Right. The military is forbidden from acting on home soil except in very dire circumstances. Providing aid is not the same as arming your own troops and putting them in a situation where they may have to harm those they are sworn to protect. The original question was about military or paramilitary not police. I'd call city and county SWAT paramilitary.,,,especially in the united states where the city police for may literally have tanks. With the exception of the U.S. Coast Guard, which is mandated to enforce maritime law domestically as well as in international waters. Is not the Coast Guard a para-military organization? (Set up like the military but technically a civilian organization?). They would then be a police force on water vs. land, and cops can shoot at criminals, domestic or foreign. They are not part of the Department of Defense, but rather the Department of Homeland Security, and formerly the Department of the Treasury. In time of war, though, they can be transferred to the Department of the Navy within the DoD. And they are the only U.S. military service with a law enforcement mission. I think of the Coast Guard as a police and rescue service that operates (because they are on the water so much) with a navy-style command structure. In time of war, I expect that they would be continuing the same mission as in peacetime, but with the added duty of spotting enemy naval vessels and espionage/covert operations craft. Yeah I definitely think of the Coast Guard as a water police force more than a military branch. Turning it sideways would be silly. As it is, it is evocative of a miltary commander which makes sense. Turning it sideways makes it look random and nonsensical. Look, you could object with similar reasoning to any of the archetype name/icons. The Ranger, for example, does not have to be either a Texas state trooper nor a special forces member, and you don’t have to shoot people with a scoped rifle despite the crosshair symbol. “Stalwart” - Name implies someone brave/heroic but you could make a cowardly selfish opportunist who hides behind defensive powers. 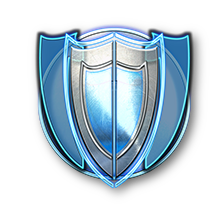 The icon is a shield but you don’t need to have a shield, or even armor or damage resistance. You can be evasive, or have self-healing. “Enforcer” - You don’t have to be violent and aggressive. Icon is a fist but you’re not limited to unarmed combat. “Guardian” - This name sounds like a tank-type character but it’s supposed to reference protecting people in a more general sense. The icon (I think?) implies barrier generation but that’s only a small subset of the powers available. “Operator” - The icon (and name) implies being some kind of tech whiz but that’s only one kind of character you could play in this archetype. Again, every archetype’s name and icon is representative of a kind of character that you could make, not representative of every character you make in that category. So does a miltary commander who can order and strategize minions fit under the Commander archetype’s umbrella? Definitely! So I think it works just fine, at least as well as any of the others. 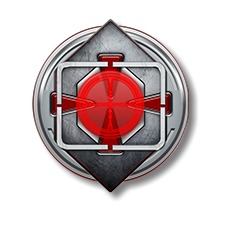 Personally, if I could change anything, I'd change the Guardian and Operator symbols. I can tell you in one word what the other AT symbols are. Stalwart is a shield. Ranger is a crosshairs. Enforcer is a fist. Commander is a chevron. I can't give you a one-word description of the other two. The Guardian looks like a black shirt with green translucent sleeves that's been folded in such a way that the sleeves are on top of the shirt as it lays flat. 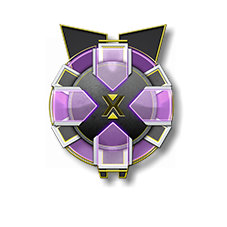 The Operator is a small X inside a larger X with purple ribbons coming off of the inside vertices of the X. The operator looks like a D-Pad with extra stuff on it. A D-pad, like a game controller, a controller, get it? As for the guardian lools like it could be an armored vest, or even some sort of door. But either way it has green add-ons, like a buff. As for the Guardian . . . Haven't figured it out yet. Hah! Took another look. How about arms enfolding you? And a shield as well. Guardian angel.